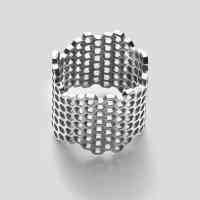 For those of us with a love of movement this jagged edge Honeycomb Ring is a beautiful option to wear. Play with the positioning on your finger to show your favourite side. We don’t know which one to pick, we love them all. 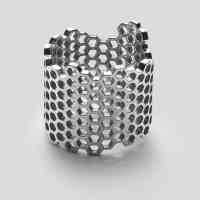 Design your own jagged Honeycomb ring to suit your personal style. Choose from white, rose or yellow gold for a unique piece of fine jewellery.